As a full-time content strategist, I read hundreds of articles a week — maybe even thousands. (Okay, maybe not thousands.) My brain hurts. My eyes are dry. My news aggregator sends me passive-aggressive messages suggesting that I get a social life. Chances are you’re feeling the same way. So let us do the work for you. Each week, we’ll give you six (and only six) stories to read. Why? Because we know you’re busy, and because our Editor in Chief really likes alliteration. The New York Times that we know and love has gone native. Dell’s inaugural campaign launched yesterday morning and looks at the “millennial problem” that many companies face. Dell plans to release more topics on government entrepreneurship, female entrepreneurship, and collaboration between IT and marketing departments. When you browse through this campaign, one thing stands out — transparency. The Times is setting a new, important standard for the sponsored content industry. As The Content Strategist’s Joe Lazauskas points out, one question remains: Will brands rise to the challenge and create content that truly captivates The Times’ audience? Millennials are a marketing force of nature; not just because they’re a coveted demographic, but also because they’re like social media Froggers, leaping from platform lily to platform lily every few months. Brand strategist Jeff Fromm writes that millennials — who already value transparency and social consciousness — are starting to become parents and will expect more from brands as a result. The sports, food, and B2B industries are dealing with complex challenges for customer communication. Fromm takes a deep dive into the sociology of advertising, illuminating a brand-to-consumer gap that long-form content is in the best position to close. It’s a key read as you craft your content strategy for 2014. Brand storytelling withstands the test of time — and very much predates the days of digital media and online advertising. Content strategist Brian Honigman sat down with Matthew Peterson, CEO of McMurry/TMG (the company behind content strategies for WebMD, the Ritz-Carlton, HP, and others). The takeaway? Native advertising is one strategy that should be woven into a larger content plan. Owned content will position your company as a hub. Mashable’s Ryan Lytle makes a great point that CES presents a great opportunity for brands to let their personalities shine through. But that’s only once a year. Why wait until CES to let your brand stand out and be you? Your blog and the rest of your social channels are at your fingertips. What the heck are you waiting for? If you’ve made it through this story and find yourself in need of more reading material, congratulations, here’s a cookie…I’m being told we’re out of cookies. Okay, then check out this roundup compiled by Canadian marketing firm Onboardly. They’ve rounded up — what they see to be — the 29 best content marketing posts of all time. 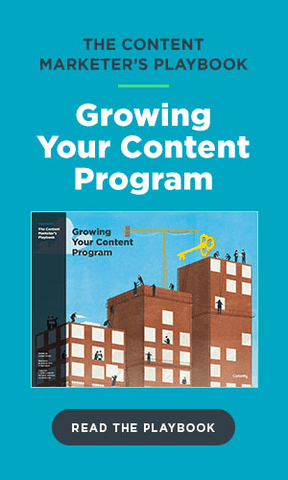 If your company is new to content marketing, this post will be your crash course to distribution tactics, audience acquisition, and analytics. If you’re hungry for more, rest assured that we’ll be back. See you next week for six more awesome stories.